Lovingly restored in 2015, the production retains a sterling polish that belies its thirty-year lifespan. 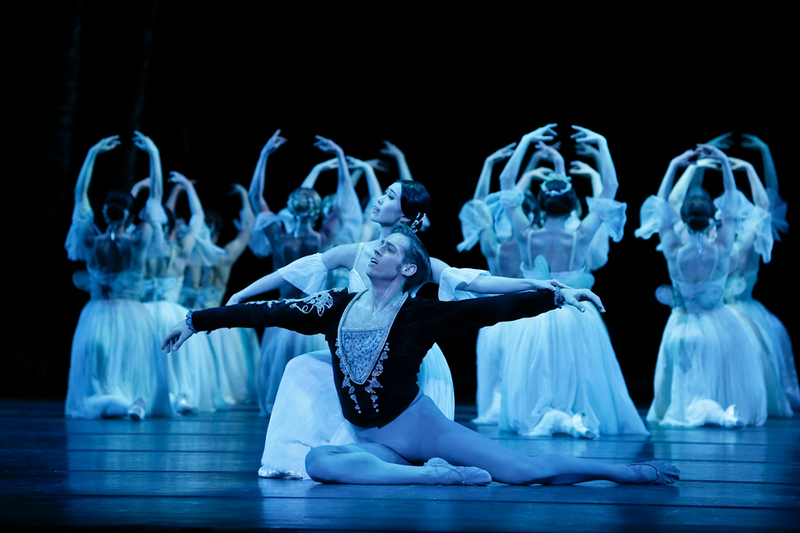 The rare ballet in which the characters are actually dancing as part of the story, Giselle entertains with its contrasting pair of acts. The naturalism of act one’s pleasant woodland setting is upended by the ghostly paranormal activity in the midnight cemetery of act two. Gielgud’s entirely traditional production simply allows the beauty of the dance to speak for itself. 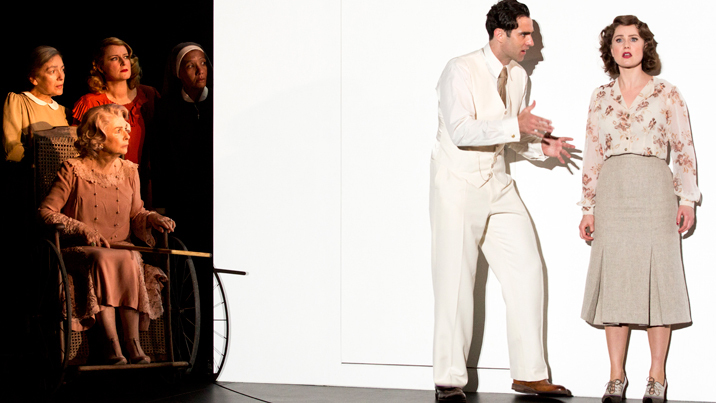 Storytelling moments of mime are perfectly clear, and characters are crisply delineated. 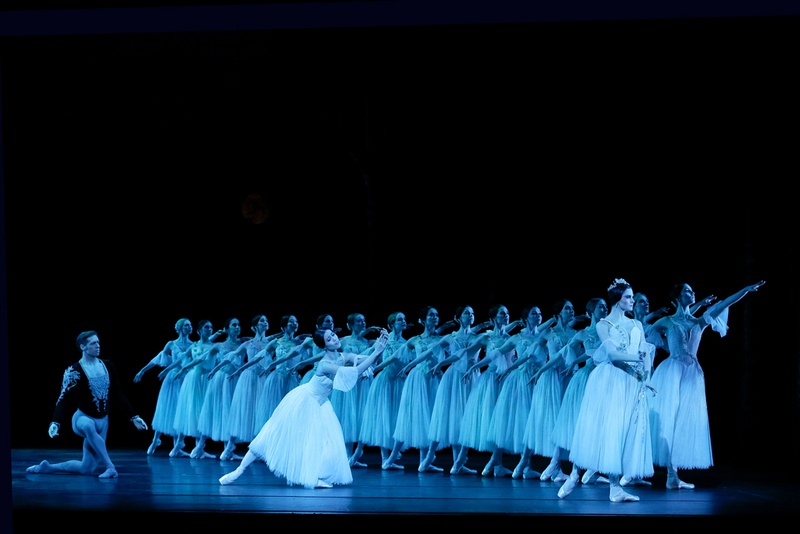 Dear Giselle hurtles towards her inexorable fate; under her protection, Giselle’s roguish love Albrecht is spared an insidious death from the ministrations of the wanton Wilis. 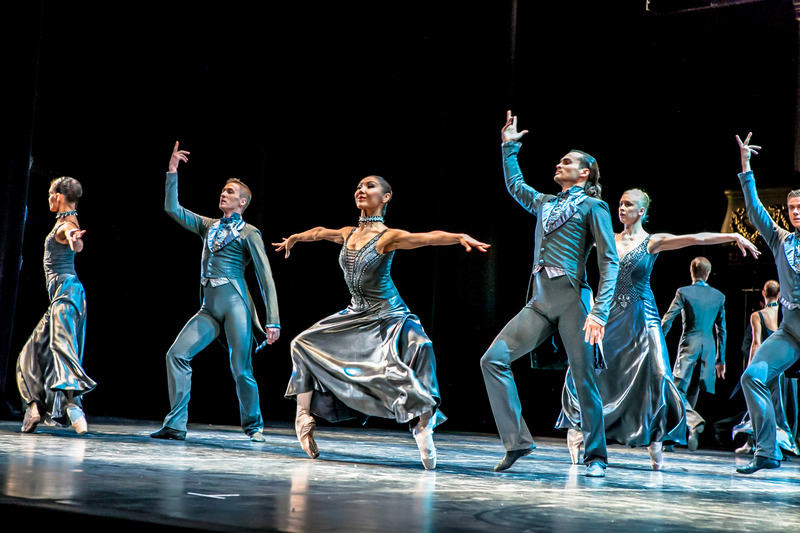 A hallmark of Gielgud’s work is the discipline instilled in the corps de ballet. As the ethereal Wilis, the female corps shows meticulous control, elevating the choreography to a stunning series of fully realised formations. Achieving the uniformity of palette that can generally only be achieved when one artist provides both costume and set design, Peter Farmer fills the stage with rich, warm earthy tones in act one before presenting ghostly figures lit by silvery moonlight in act two. William Akers’ lighting (reproduced by Graham Silver) casts an eerie phosphorescent glow on the Wilis. When first summoned by their Queen, effective use of haze and lighting has the Wilis magically materializing from thin air. Under the baton of guest conductor Simon Hewett, Orchestra Victoria gives a lively, supple rendition of Adolphe Adam’s jauntily melodious score. Principal Artist Ako Kondo is ideal casting for the title role, taking Giselle from endearingly playful, doll-like maiden to regretfully unwilling Wili. Kondo makes Giselle’s arc clear in act one, altering her appearance from pure and pristine to a more disheveled look as Giselle tires and her mania increases. Kondo completely alters her performance in act two, changing from the beaming village favourite to a downcast spirit who endures a torturous existence in the afterlife. 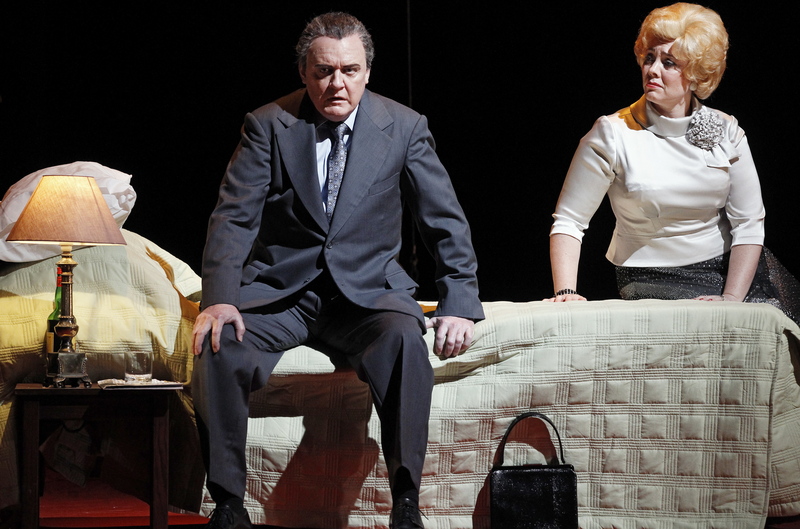 Kondo is ably partnered by fellow Principal Artist Ty King-Wall as Albrecht. King-Wall underscores his performance with Albrecht’s regret at deceiving Giselle by hiding his nobility from the guileless girl. Both Kondo and King-Wall temper their performances well so as to be able to increase their energy levels as the ballet progresses. Proving an ever-stronger leading man, King-Wall retains our sympathy for Albrecht as he faces a fate of being danced to death by the Wilis. Dancing with nimbly balanced power and tender expression, King-Wall particularly impresses in Albrecht’s 32 entrechat six jumps, in which he rises ever higher. Senior Artist Jarryd Madden makes a striking impression in the featured role of forester Hilarion, presenting a magnetic stage presence that clearly portends future leading roles. Before the main romance takes flight, the Peasant Pas de deux is a highly entertaining divertissement on the scale of a grand pas de deux. Brett Chynoweth reliably brings loads of personality and presence, not to mention pristine dance, to this role, more than ably partnered by Dana Stephenson. Valerie Tereshchenko gives a highly memorable performance as Myrtha, Queen of the Wilis. Tereshchenko’s Myrtha is beautifully youthful yet imperiously regal, and her dancing is impeccably precise yet wonderfully characterful. For lovers of traditional ballet performed at its best, the return of Giselle is a welcome inclusion in the Melbourne 2018 season. Giselle plays at State Theatre, Arts Centre Melbourne until 8 September 2018. Read the Giselle casting list. Voting is now open for the 2018 Telstra Ballet Dancer Award. This is indeed a wonderful production Simon and for me quintessentially what ballet is all about and why I keep going back. Adolphe Adam’s music too is my enduringly favourite ballet score…..every note just in the right place and supporting the choreography/narrative succinctly……although that’s probably the other way around ? Once again your images are sharp and evocative. i saw the matinee Sept 5th and we had I think 4 x newcomers in the main principal roles and what spectacular performances we were given. This was my first ever Giselle. I thoroughly enjoyed the whole performance. It probably isn’t my favourite of all ballets, but I have recently resigned myself to flying to Melbourne to see ballets on a non-squeezed “Joan Sutherland Theatre” stage and with the orchestra situated out front where we can hear it…….what absolute joy in the Arts Centre! You may not have the Sydney Harbour View Foyers….but…..I love ballet for the dance and the music. The Capitol Theatre Sydney certainly was my favourite experiences with Sleeping Beauty and Alice’s Adventures in Wonderland which i had to see them both twice! Thanks for these comments, Anthony. I would live to have seen Alice or Sleeping Beauty at the Capitol. Maybe they will return there when Alice eventually returns (which for new productions is usually fairly quickly). Even more tantalising in terms of orchestral music for the upcoming premiere of Spartacus is the fact that the first couple of rows of the State Theatre will be removed to accomodate the larger orchestra. Looking forward to opening night in a couple of weeks! i will see Spartacus on 20th Sept in Melbourne, couldn’t dream of seeing it at the Joan Sutherland “Lecture Theatre” as it is now dubbed.